Filling in all those question marks from a couple of months ago, the new Warner Bros schedule shows some obvious films like Wonder Woman and Justice League, and even announces Cyborg and what is presumably a Green Lantern reboot. Also in the presentation and press release, two major pieces of casting were included. Ezra Miller will star as the movie version of The Flash, putting to rest any speculation of the TV and movie universes being joined. Jason Momoa, long rumored for the role ofAquaman, was confirmed as well. It should be noted, this is not their full schedule of DC Comics movies. The press release reads that these are "at least 10 movies" and that the full line-up will also include "stand-alone Batman and Superman films" that aren't on this initial schedule. A Cyborg solo movie... really!? Suicide Squad feels like DC's version of GOTG. 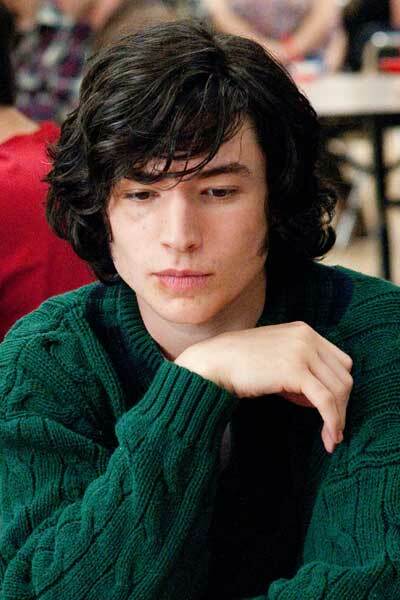 Flash will be played by Ezra Miller, as in the gay dude who basically plays every other teenage gay dudes in his movies? Are we getting another origin story of Barry Allen like the TV show? Cyborg is such a weak character - awful decision. At the very least make a Martian Manhunter solo film. He's one of the best and most interesting characters they have, along with Lobo, whom I can't believe they haven't addressed at all. But Cyborg - really? And I fail to see how Wonder Woman as a character and film is going to work in today's world. It's just going to come across as Xena 2.0. Warner was smart to grab him. Give him a script and director and he'll be as good as any superhero out there not named robert downey jr. He may be the most talented actor playing a superhero outside of RDJ, Jackman, fassbender and Mcavoy . I'm talking DC and marvel. Cyborg is a weird choice, only explanation is they got a script they absolutely loved. Otherwise just don't even spend the 100millon dollars. Make him justice league exclusive. Are perfect choices. Green lantern will probably be a big name. It'll need to be someone who will in fact erase that horrible movie. Chris terrio better be writing justice league if Snyder is directing. That's all I know. It's a shame that justice league and avengers won't be the same year though. That would have been exciting. But Ezra has charisma to carry a franchise. Incredible casting IMO. Put Momoa or hunnam there and that changes. Suddenly he's this tough guy. Ezra fits what I see as the flash. He's like a much more talented version of the tv show guy. are they called "tentpole films" based on their ability to give teenage boys wood? I'm kinda done with most Superhero films. Took them a while to get their plan but I'm glad they're finally going through with it. Wonder if that "Cyborg" film suddenly becomes a Titans film. if 6 of those movies are good that would be a success. I cant see Aquaman being any better than a "Thor" movie. On the heels of this morning's massive update to Warner Bros. Pictures' schedule of DC Comics adaptations comes word, via The Hollywood Reporter, that the first of the newly-announced films, David Ayer's Suicide Squad, is already courting some serious talent. According to the outlet, Ryan Gosling, Tom Hardy, Margot Robbie and Will Smith have all been approached for roles. Created by Robert Kanigher and Ross Andru back in 1959, the Suicide Squad team has included countless DC villains among its ranks, including Deadshot, Captain Boomerang, Bane, Killer Frost, Poison Ivy, Count Vertigo, Deathstroke, and Harley Quinn. The CW's "Arrow" introduced their own version of the team in the most recent season of the series and the recent animated film, Batman: Assault on Arkham, offered another version of the team. Of course, just because Warner Bros. is interested in these names, that doesn't necessarily mean we'll be seeing any of them actually sign on. Gosling, too, is also said to have met for Marvel Studios' Doctor Strange as well. Edited by Bjork, October 16, 2014 - 05:18 AM. But marvel already choosed doctor strange, don't they? He was too indecisive about doing it so they just moved on. Would be more interested in more stand alone Batman movies more than anything. Never really cared for any other DC character tbh. Batman is my fave super hero by a mile but I've always felt that Marvel had the better assortment of entertaining characters, at least for me. But they'd have to go about it perfectly. Tough to find another Nolan/Bale combo. They made a great team. But yeah, i'd love more Batman only films if the right team was put together. Will Smith And Tom Hardy now reportedly "Close" to joining 'SUICIDE SQUAD'! #HYPE! Margot Robbie now also reportedly "close" to joining 'SUICIDE SQUAD'. Would love to see her as Harley Quinn. Edited by Majesty, October 16, 2014 - 04:57 PM. Grabbing will smith and tom hardy for suicide squad instantly makes that movie a draw.